 Patient Reviews - True Plastic Surgery Of The Florida Keys - True as Seen on HBO and Good Morning America! I've had many wonderful experiences with Dr. Lansden, and have been using him for many years since he's been practicing in the Keys. He and his staff are kind to me, and the office atmosphere is friendly and relaxing. They've always treated me with warmth & respect while being totally professional. Most recently I traveled from Key Largo to Dr. Lansden's Key West office to have hand surgery. I am extremely happy with the results of my surgery, which was a short, in office, pain free, procedure. I got the results I expected and more (as with all Dr. Lansden's procedures). Whatever procedure or surgery you are interested in, Dr. Lansden will do a very good job for you. Five stars to Dr. L.!!! "I had a bad scar from a hysterectomy and some extra skin from having a 10 + Lb baby. While having another procedure he fixed this bikini problem. You can't even tell I had a hysterectomy now! I have had several things done with Dr. True. Face, breasts, tummy skin, and other facial treatments...... SHHHH! Seriously he is the best. Conservative with his knife and needles and always with great results. I have great confidence with him and his staff. I you want to look younger, rested and/or like you have lost a few pounds he is the doctor to choose.....results that help you feel like YOU!" "I am very satisfied with the results of all of the cosmetic applications I have had from Dr. True Landsen and I have never waited more than 5 minutes in the waiting room. I give him a 10." "A few years ago when my son was a senior in high school he slammed our garage door inadvertently ripping out the entire nail on his left ring finger. He was in enormous pain and we couldn't get the bleeding to stop. We rushed him to our family physician who was clearly at her wits end and tried to send us to our local trauma hospital. Having met Dr. True, and knowing he specialized in hand trauma we headed to his office instead hoping for the best. Dr. True and his staff rushed us back to one of the rooms. Dr. True quickly diagnosed our son as having literally broken the nail bed on his finger. He got down to business and after numbing the nail bed he was not only able to repair the bed but also to reattach the entire nail! To this day there is no appearance of any trauma to my sons finger or nail. We were so impressed we decide to make multiple appointments for the rest of our family. Our daughter was born with an unsightly mole that ran horizontally for several inches across her shoulder blades and caused a significant amount of irritation whenever she was wearing a bra. Dr. True easily numbed the area and removed the entire mole. This was over two years ago and there is no indication the mole was ever even there. My husband had numerous skin tags on his eyelids and arm pits. Dr. True removed them effortlessly and with no pain whatsoever! To this day the tags have not returned. My full grown man (husband) was terrified prior to the procedure and could not have been more pleased with the results and lack of pain involved in the process. Finally, I am a 40 odd year old woman who had developed a small cyst about the size of a gooseberry on my left cheek. Although I would not call it unsightly it definitely caused me to be quite self conscious of its appearance. Now, I'm talking about my face so this wasn't something I was anxious to do but after having seen what a top notch surgeon Dr. True really is I went ahead with the procedure. Remarkably, Dr. True painlessly removed it in a matter of minutes. After the stitches were removed you couldn't tell anything had ever even been there. We certainly miss having Dr. True on the Treasure Coast but be assured should any member of our family have ANY plastic surgery needs we would gladly travel to the Florida Keys specifically for his expertise and amazing perfection at what he does! Great staff, great customer service, minimal to no waiting times, just a TRUELY great Doctor! The Lawson's love Dr. True!"